Measure 16 supporters, not happy over the fact that the flawed assisted-suicide law was back on the ballot for a revote, mounted a campaign to discredit the assisted-suicide “failure” argument. 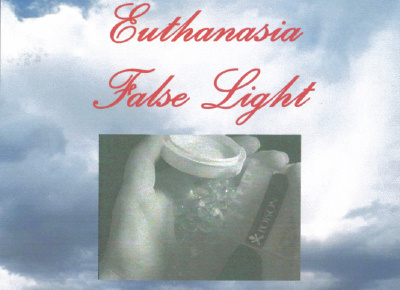 In August 1997, a group called Physicians for Death with Dignity, supported by the Oregon Death with Dignity Legal Defense and Education Center, sent a letter to Oregon doctors calling the argument “a false one.” “There is no study, there is no research that documents a 25% failure rate or prolonged, painful deaths after oral medication,” the letter read. Questionable “study” cited Yet, in spite of all the Dutch data and personal experiences, Coombs Lee still maintains that “oral medications are 100 percent effective.” To substantiate that claim, she cited a 1996 “study” (really an article) entitled, “Observations Concerning Terminally Ill Patients Who Choose Suicide.” The “observations” were reported by co-authors Thomas Preston, M.D., and Rev. Ralph Mero, both longtime assisted-suicide advocates associated with the suicide facilitation group Compassion in Dying (CID) — hardly objective “observers,” let alone researchers. Their uncontrolled study group consisted of merely 24 people; only nine of which were observed first-hand by a CID volunteer at the time of death. It would seem that Coombs Lee and the other authors were admitting that deaths may be lingering and that “oral medications” may not do the job at all. Given her public accusations — that those opposed to Measure 16 were lying regarding drug failures — this “Practice Tip” certainly did not help Coombs Lee’s credibility nor that of the pro-Measure 16 camp. Yes on Measure 51 means repeal of Measure 16 With mail-in ballots being sent out in mid-October for the November 4th special election, Oregon voters are having to sift through all the campaign rhetoric and claims and decide whether Measure 16 should be repealed or allowed to become law. But, this time around, voting either way may be confusing. A NO vote on Measure 16 means a YES vote on Measure 51, the repeal measure placed on the ballot earlier this year by the Legislature. Jack Kevorkian and his co-conspirator lawyer are virtually untouchable these days in Michigan. Since the last Update, there have been ten more known Kevorkian-assisted deaths — yet authorities continue their hands-off stance, sending the message that any further prosecution of Michigan’s most infamous purveyor of death is unlikely. Karen Shoffstall, 34; from Long Beach, NY; died 8/13/97; had early stage multiple sclerosis. Janet Good, 73; from Farmington Hills, MI; died 8/26/97; had only microscopic residual traces pancreatic cancer. Thomas E. Summerlee, 55; from Colorado Springs, CO; died 8/29/97; had multiple sclerosis. Carol Fox, 54; from Telford, PA; died 9/3/97; had ovarian cancer. Deborah Sickels, 43; from Arlington, TX; died 9/6/97; had multiple sclerosis. Natverlal Thakore, 78, from Burnaby, B.C. (Canada); died 9/20/97; had Parkinson’s disease. Kari Miller, 54; from Englewood, CO; died 9/29/97; had multiple sclerosis. John D. Zdanowiez, 50; from Berwyn, IL; died 10/3/97; had ALS (Lou Gehrig’s disease). Lois Carol Hawkins Caswell, 65; from Lexington, KY; died 10/8/97; had chronic pain syndrome. Annette Blackman, 34; from Presque Isle, MI; died 10/13/97; had multiple sclerosis. For a time, Macomb County Prosecutor Carl Marlinga thought it feasible to make a pact with Kevorkian and his lawyers. In fact, he even met with the death doctor and lawyer Michael Schwartz for 45 minutes on 10/6/94 to start work on an agreement that would permit Kevorkian and/or family and friends to leave off future dead bodies at funeral homes or at the local medical examiner’s office without any threat of prosecution. After the meeting, Marlinga told reporters that he was optimistic that an arrangement could be worked out within two-weeks time. “I don’t think anyone will criticize me for lessening the impact on the families,” Marlinga explained. “Family members just lost a loved one. You can argue all day and all night if they should have lost someone, but the fact is there is a death.” Schwartz told the press that Kevorkian may be meeting with elected officials in other counties as well. “He [Kevorkian] wants to reach out to public officials to get input and their views, and to have a dialogue with them,” Schwartz said. [Detroit News, 10/7/97]. Some ironies in life are so bizarre and tragic that they almost defy credulity. Such is the sad case of Janet Good, the acolyte of Jack Kevorkian, who spent the last few years of her life helping Kevorkian decide which disabled, depressed and/or terminally ill persons he should help take out of this life. Good was a true believer of the assisted suicide cause. 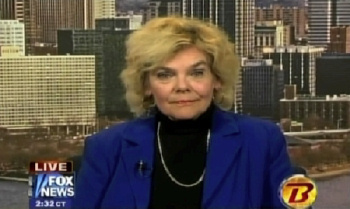 In 1989, she founded the Michigan Chapter of the Hemlock Society. In 1990, she supported Kevorkian when he broke onto the national stage by assisting the suicide of Janet Adkins, who had been diagnosed with early Alzheimer’s disease. In 1994, she became Kevorkian’s personal assistant in deciding which persons to help kill. On August 26 this year, she became a Kevorkian statistic. Good believed that assisted suicide promotes individual empowerment. But through the manner and circumstances of her death, she demonstrated that it is really the ultimate victimization. Good was supposed to be at death’s door from pancreatic cancer. But an initial autopsy finding showed Good’s cancer wasn’t even in the terminal stage. The coroner declared while there was evidence of microscopic signs of residual cancer, there was “no cancer buildup in organs that would have compromised vital functions.” In other words, Good may have had years to live. Yet, thanks to Kevorkian and her own zeal she is gone before her time. Under Kevorkian, such tragedies abound. Take the death of Karen Shoffstall, 34, who had multiple sclerosis and died with “Kevorkian in attendance” on August 13. Like most of his victims, Shoffstall wasn’t terminally ill. She was moderately disabled, but that wasn’t what caused her suicidal despair. Rather, she was terrified about future debilitation. Never mind that the disease is unpredictable, that spontaneous remissions can happen, or that once people who are disabled later in life get through the difficult adjustment period, they frequently go on to lead full lives. In Kevorkian, she found someone willing to reinforce her worst fears. Then there’s the September 6 death of Deborah Sickels, 43, who Kevorkian’s lawyer says was a Kevorkian-assisted suicide because she had MS. But her brother, Robert Allen, claims she was not mentally competent and was deeply emotionally disturbed by family problems. He said correctly that Kevorkian should have referred Sickels to a psychiatrist rather than help kill her. been perceived rightly as a pernicious abandonment of three despairing women. It would have brought demands that the perpetrator be brought to justice. No more. That these deaths have barely raised the public’s collective eyebrow illustrates how deeply our values are being eroded by assisted suicide advocacy. Many no longer believe in aggressive suicide prevention when the despairing person is seriously ill or disabled. Rather, many of us assume that we too would not want to live in such circumstances. The Good, Shoffstall and Sickels tragedies are the result. A recent story illustrates how bizarre all of this is becoming. Charles Woodworth, 54, allegedly became so enraged by his dog’s disobedience that he shot and wounded the animal. After looking into the case, Oakland County, Michigan, Prosecutor David Gorcyca decided not to indict. That caused such a howl that Gorcyca reversed himself and will prosecute the shooting as a felony. Woodworth now faces two years in jail. This is the same place where Kevorkian lives and is so popular that Gorcyca won office by vowing not to enforce Michigan’s law banning assisted suicide. That the people of Oakland County and its prosecutor appear to care more about the attempted killing of a dog than they do about the actual assisted killing of over 50 people by Kevorkian, should tell us all we need to know about the twisted thinking inherent in the assisted-suicide movement. Wesley J. Smith is an attorney for the IAETF and the author of Forced Exit — The Slippery Slope from Assisted Suicide to Legalized Murder, published by Times Books/Random House (1997). His commentary originally appeared in USA Today, 9/15/97, and is reprinted here with the author’s permission.